Vauxhall has revealed a teaser shot of its next-gen Corsa that’s due to be revealed by the end of the year. Likely to be offered in electrified form, the new Corsa will utilise the same platform as the Peugeot 208 and be a complete breakaway from the outgoing model from a styling perspective. 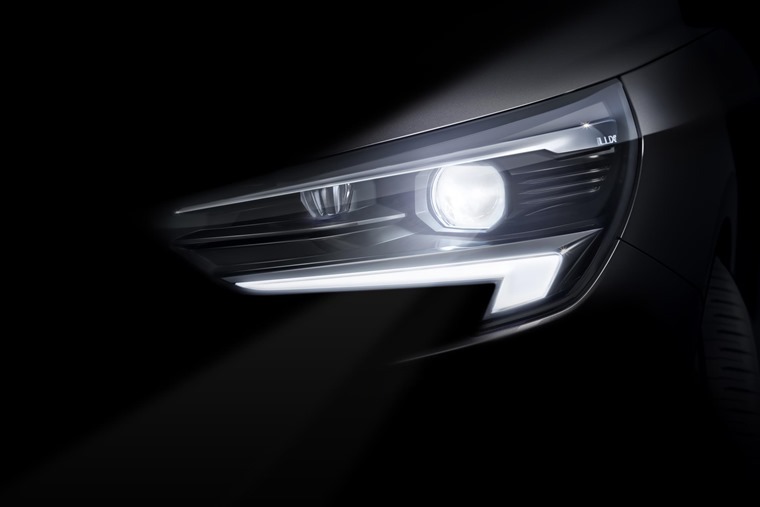 All the teaser pic reveals is the headlight design, which is now a flare-free full-LED unit. Dubbed the IntelliLux, we’ve already seen them feature on the latest Astra and Insignia. We know the platform will be lighter than before too, which should help maximise range for electric versions and improve economy for internal combustion models that are likely to feature PSA’s 1.2-litre petrol units. A more powerful 1.6-litre turbo could also be available, although it’s not been confirmed whether Vauxhall will develop a hot hatch VXR model. We’ll bring you more info on the new Corsa as it is released, but in the meantime you can find lease deals on the current car here.